I'll answer both of your Fragen in this answer. Ryuuga merely made a cameo in the Anime when Sakyo talked about him. It was implied that Sakyo had met Ryuuga in person, but they never specified when. This made it unclear whether Sakyo met Ryuuga before oder after Nemesis was defeated and Ryuuga's supposed "death". In the Manga though, it was confirmed that Sakyo did, in fact, meet Ryuuga after the defeat of Nemesis. 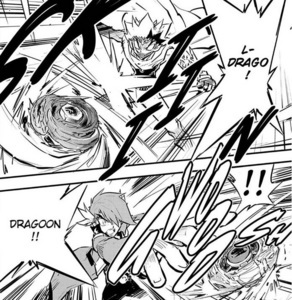 Ryuuga appears in the 2nd special chapter where he and Sakyo battle in the mountains.